Few things warm your heart like the holidays, especially when you’re sharing all those warm and fuzzy feelings with a sweet little sloth gift. 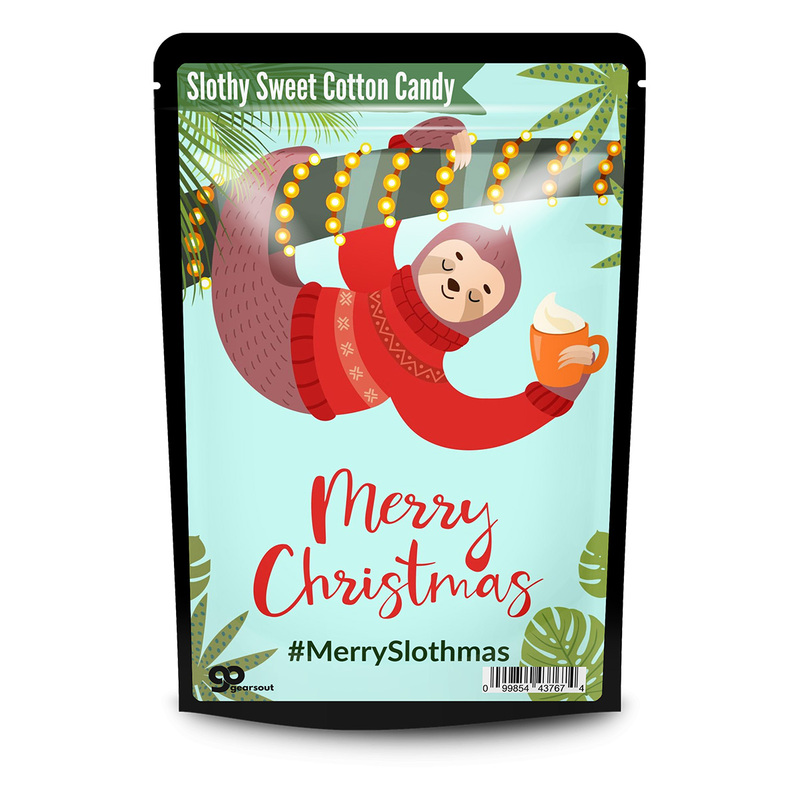 Give everyone you love the cutest Christmas greeting ever – Merry Slothmas Cotton Candy. Not only is it totally adorable, it’s also a festive reminder to slow down and enjoy the sweet moments the holiday season brings. Merry Slothmas Cotton Candy makes an awesome stocking stuffer for sloth lovers of all ages. It’s perfect for coworkers, family, and friends. 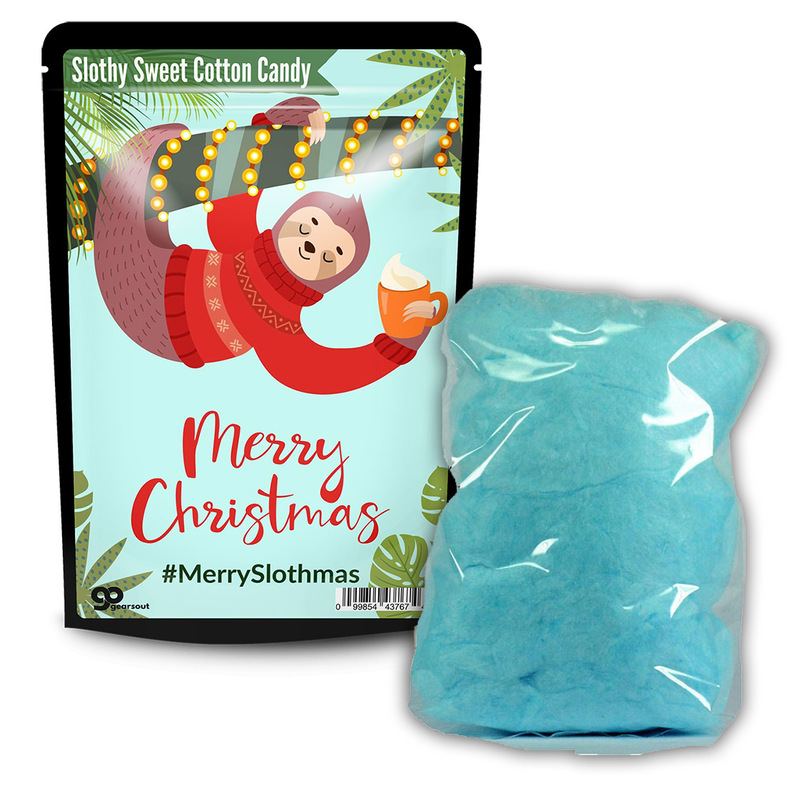 Everyone will love this cute Christmas sloth gift even more when they open it up and find a fluffy puff of tasty, blue cotton candy. 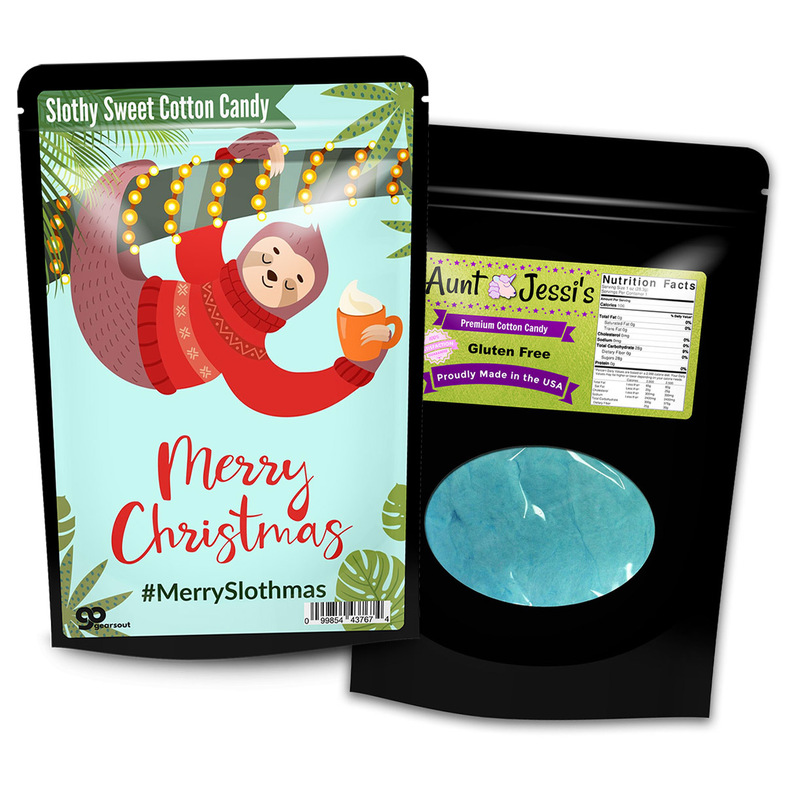 It’s the ultimate slothy sweet holiday treat!